Ensure the performance of your septic system by taking advantage of septic inspection services from L & H Sewerage Corp.. We are a state licensed Title V inspector, offering services for homes and businesses throughout Worcester County and Auburn, Massachusetts. Septic inspections are a proactive way to discover potential issues early, before they cause any major damage. By having regular inspections, you can rest easy knowing that your system is getting the proper maintenance or repairs it needs to perform. Our inspection services include a detailed septic tank and drain field inspection using state-of-the-art video equipment. In addition, we also test your system for proper functioning, and make sure the drain field is dispensing as it should. In the state of Massachusetts, you are required to have a Title V septic inspection before selling your home. As state licensed inspectors, we make this process easy by offering affordable inspection services. Our inspectors look over your entire system to make sure everything meets or exceeds code for your area. Not only that, but we help teach you how to properly maintain your system so you can save on costly repairs down the road. 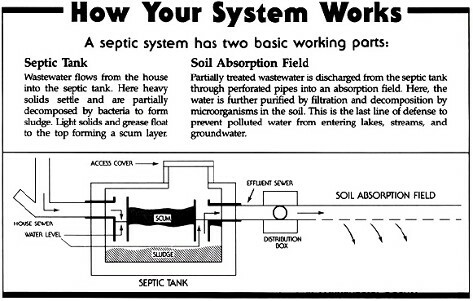 Contact us for to make sure your septic system is getting the proper attention it needs.